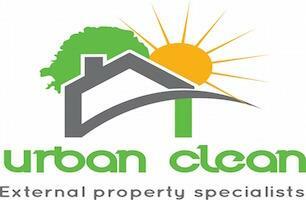 Urban Clean - Cleaning Services based in St. Helens, Merseyside. Hi I'm Dean, I am the owner of Urban Clean along with my wife Ruth. We are an External Property Cleaning Company based in St Helens. We are punctual, professional and fairly priced. We take pride in our work and always aim to do the best job possible. We operate in a 30 mile radius of St Helens and offer many services such as Gutter clearances, UPVC and Conservatory cleaning, Jet washing and many more. Please dont hesitate to contact us for a free quote or even just for advice. Thanks for taking the time to check out our checkatrade page, we look forward to hearing from you.